While the world's largest organizations enjoy a plethora of resources for managing complexity in their IT environments, small and middle market enterprises (SMEs) have had to get by with what they're able to afford on a limited budget. Often, that means relying on open-source or commodity tools that carry significant hidden costs in terms of the time required to make them actually work. And even then, they typically offer only limited, siloed visibility. Even as the complexity of IT systems has exploded, the one constant amid the chaos has been wire data. Wire data includes the entire spectrum of applications and infrastructure communications—from packets to transactional payloads—which traverses networks of any size. This applies to any modern environment, large or small. That's where the ExtraHop platform comes in. We mine this data to deliver comprehensive, cross-tier visibility into everything that's happening in the IT environment in real-time, whether it's a new mobile device connecting to the network, an error occurring in a customer-facing application, or latency in a cloud-based solution. 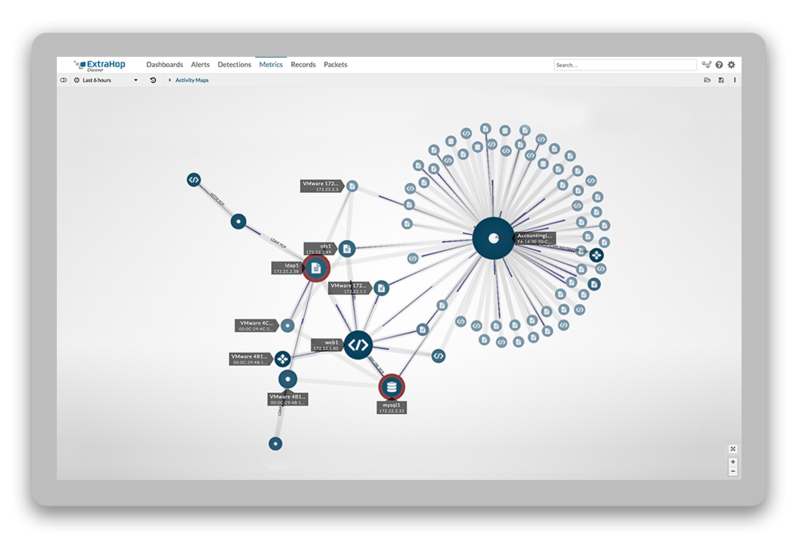 Our free Discovery Edition virtual appliance, powered by ExtraHop's Context and Correlation Engine, enables IT teams to gain real-time, correlated insight across tiers, with complete views across the network, VDI, web, middleware, database, and storage tiers. This is a powerful solution, capable of processing up to a sustained 1Gbps of traffic and analysis for up to 1,000 devices. 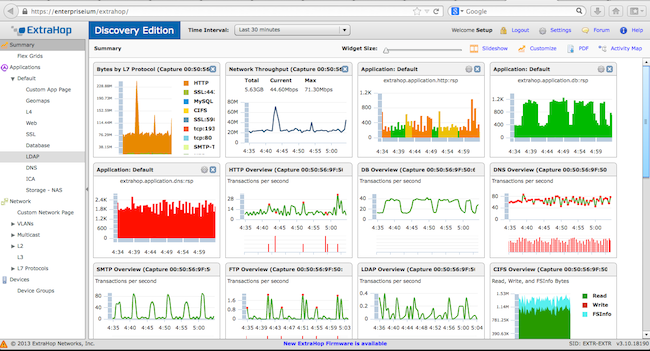 The ExtraHop Discovery Edition is a free solution that equips SMB and enterprise IT teams with correlated, cross-tier visibility. For SMEs and enterprises exploring their options, the Discovery Edition offers enterprise-class monitoring capabilities in a solution that requires minimal configuration and maintenance. All you need is a computer that meets our minimum requirements and a bare-metal hypervisor. You can direct traffic to the appliance using either a port mirror or our packet forwarder. The Discovery Edition auto-discovers and auto-classifies all applications and devices running on the network, and automatically adjusts to changes in your environment ongoing, which is a critical in highly virtualized environments. Users can view protocol metrics and alerts by geographic region with a geomap, or visualize devices and their dependencies with an application activity map. Users can also install bundles that deliver additional functionality for specific use cases or applications such as Microsoft SharePoint. Free perpetual license – The Discovery Edition virtual appliance is now perpetually licensed, and comes with a host of upgrades to deliver business-critical visibility into performance, availability, and security across the network for organizations of all sizes. Easier installation – Installation is now streamlined using a high-speed packet forwarder and running on VMware's free hypervisor, eliminating the need to generate a virtual machine (VM) or use a Switch Port Analyzer (SPAN) in order to access traffic. More protocol analysis – A greatly expanded list of protocol analytics now includes NAS and iSCSI for storage and Oracle, MySQL, Sybase, Informix, and Postgres for database. Seamless upgrade – We've also made it super simple for Discovery Edition users to upgrade to ExtraHop's EH1000v virtual appliance as their needs evolve. The EH1000v offers more detailed device-level analytics and a guaranteed 30-day look-back period for enhanced visibility. Ready to get started? Watch the video below to see what you can do with the Discovery Edition, and then download your own free appliance.